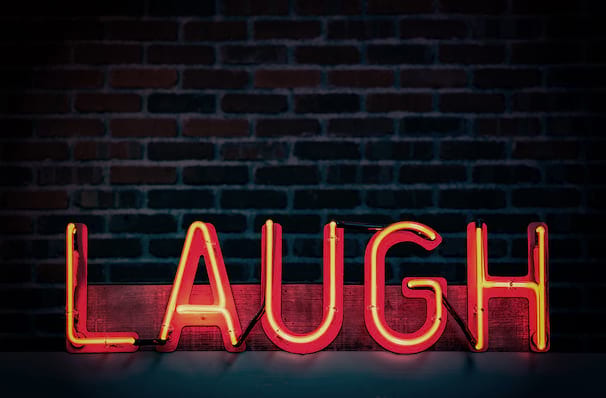 What started as a small YouTube web series in 2013 snowballed into a national phenomenon when its first 90 second video amassed over four million views. Picked up by CraveTV and expanded into a full TV series a year later, Letterkenny stars Jared Keeso and Nathan Dales as Wayne and Daryl, two friends, chronicling their hilarious interactions with each other and the other inhabitants of their Canadian small-town community. Don't miss their hijinks on the brand new Letterkenny Live tour this Spring! Approaching the live shows much like a rock band would, Keeso and Dale will be playing the hits, taking scenes from the series that have generated the highest audience response and re-enacting them live alongside a cast of colorful Canadian characters including hockey players, hicks and members of Wayne's riotous family. Hold on to your maple leaves, cause this is a rural rumpus that'll have you laughing till your sides ache! Sound good to you? 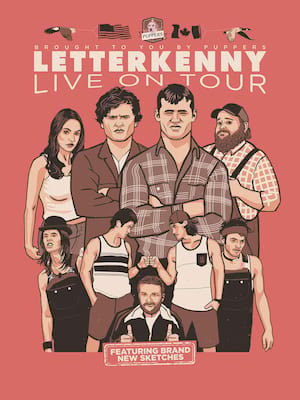 Share this page on social media and let your friends know about Letterkenny Live at Meridian Centre. Please note: All prices are listed in US Dollars (USD). The term Meridian Centre and/or Letterkenny Live as well as all associated graphics, logos, and/or other trademarks, tradenames or copyrights are the property of the Meridian Centre and/or Letterkenny Live and are used herein for factual descriptive purposes only. We are in no way associated with or authorized by the Meridian Centre and/or Letterkenny Live and neither that entity nor any of its affiliates have licensed or endorsed us to sell tickets, goods and or services in conjunction with their events.